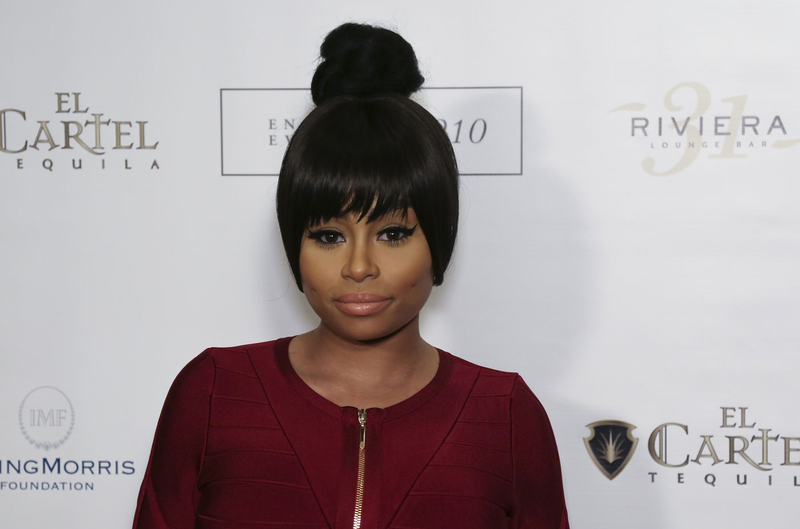 Blac Chyna is on a mission! The model and makeup artist&apos;s online personal trainer, Chris Jinna, has revealed that she&apos;s asked him to come up with a diet and workout plan to get boyfriend Rob Kardashian back in shape. According to Jinna, the 27-year-old mom-of-one came to him last week to ask for his help in sorting out a couple&apos;s health regimen, to make sure they both achieve their shared goal to "shred a little bit" and get healthy. "[She came to me] recently, maybe a week ago," Jinna told Us Weekly. "She just asked some type of tips for Rob, to get him a meal plan. So I created a plan for them and sent it over," he explained. Jinna, who started working with Chyna back in November, has been keeping track of her workouts and meal plans for a couple of months now, and was very happy to bring Kardsashian into the mix. "She does refer to him as her boyfriend, yes," Jinna revealed. "They both have the same goals — they just want to basically get in shape, kind of shred a little bit, just have a healthier life, live a healthier lifestyle," he added. "They’re really taking this stuff pretty serious," he continued. "They’re supposed to be going to the gym at least five times a week together. I’m not sure if all the time if they’re actually going together, but since Rob asked for that plan, I would assume that they would be, at least motivating each other." And although Jinna isn&apos;t in the gym with the high profile couple when they work out (as an online trainer he says his contact with Chyna is about once a week), he&apos;s already seen evidence of the pair’s mutual encouragement. "On Snapchat the other day, she was on the elliptical and Rob was [there], I saw his feet on the ground," Jinna went on. "She was showing her legs moving and then you can see Rob’s feet in the background as well, encouraging her, which was pretty cool." Jinna&apos;s advice to the 28-year-old reality star has been to eat clean ("basically to stay away from the red meat, lower his salt intake, and just have moderation," Jinna expained). And while all his contact with the famous Kardashian brother has been via Chyna, Jinna says eating the way he recommends is great for stabilizing blood sugars — something that&apos;s vitally important since the celebrity’s recent diabetes diagnosis. Jinna is hopeful his advice will play an important role in turning things around for Kardashian, and is ready to become more than just an online trainer if ever the need arises. "Maybe when [they become] very serious about their goals, start to see results, maybe they will call me in," he added.